At this year's 26th International Agricultural Equipment Conference in Leinfelden-Echterdingen, Fendt engineer Richard Heindl was awarded the VDI Max-Eyth Commemorative Medal. 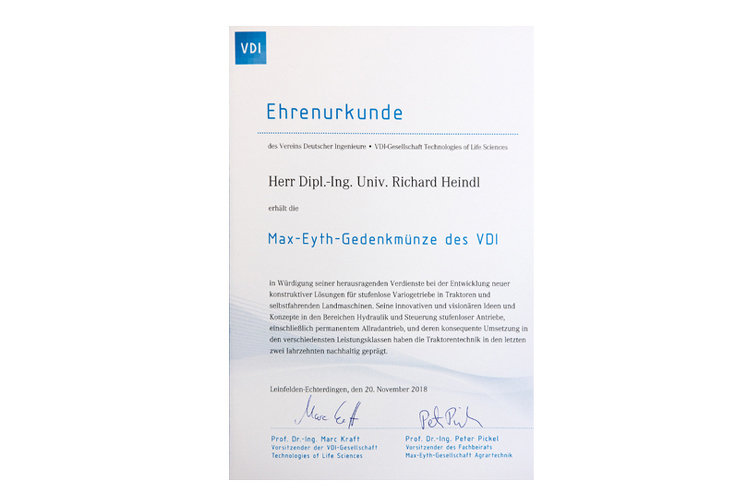 The award certificate from the German Association of Engineers says: "We hereby award Mr Richard Heindl the VDI Max-Eyth Commemorative Medal in recognition of his outstanding contribution to developing new concept solutions for stepless Vario transmissions in tractors and self-propelled agricultural machinery. Over the last 20 years, his innovative and visionary ideas and designs in hydraulics and steering for stepless drives, including permanent 4WD, and their implementation in the widest-ranging performance classes, have forever shaped the technology used in tractors." Richard Heindl comes from a farm near Waldsassen in the Upper Palatinate region of Germany. He started his career at Fendt on 1 April 1986 in Prototyping and later transferred to the Transmission Development team. Dr. Heribert Reiter, Vice President and Head of Research and Development, Purchasing and Customer Service, says; "The Max-Eyth Commemorative Medal is one of the highest accolade engineers can receive for agricultural technology. 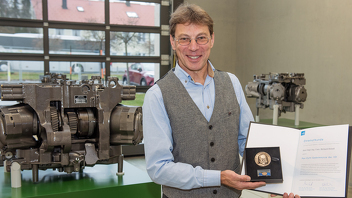 Richard Heindl has played a major role in the development of stepless Fendt Vario transmissions for 30 years. On behalf of the Executive Management, the Works Council and Supervisory Board and all his colleagues, we would like to sincerely congratulate Richard on this prestigious award." 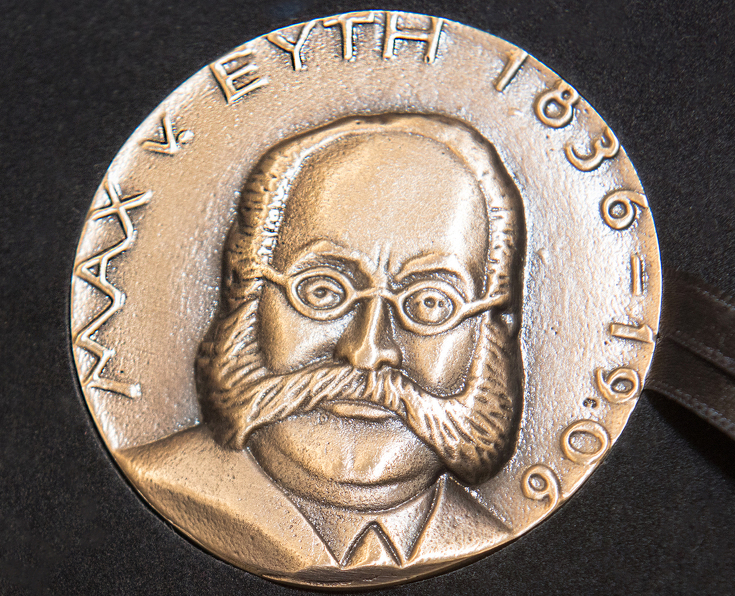 The Max-Eyth Commemorative Medal, one of the highest accolade engineers can receive for agricultural technology. 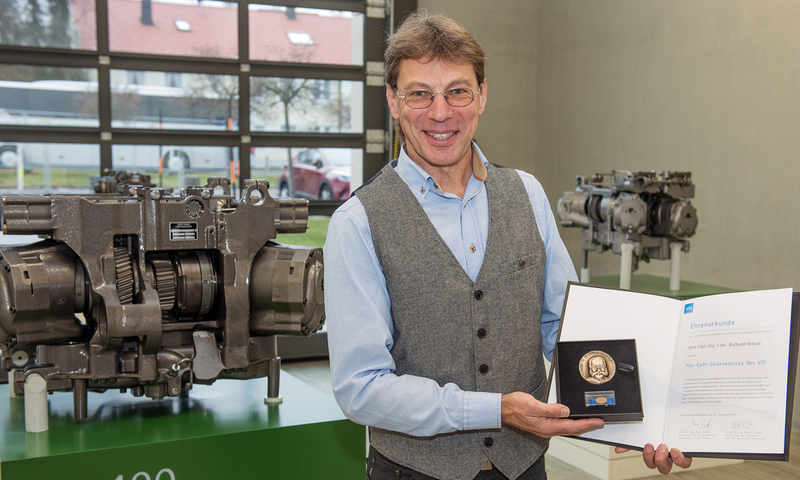 Following in the footsteps of Robert Honzek and Rainer Hofmann, Richard Heindl is the third Fendt employee to receive the Max-Eyth Commemorative Medal. The Max-Eyth Commemorative Medal was donated in 1950 by the Max-Eyth Society for Agricultural Technology. It recognises outstanding individual achievements which have made an historical contribution to agricultural development. Max Eyth (1836-1906) was a multi-talented engineer, writer, sketcher and painter from Kirchheim unter Teck, Germany. He was a pioneer of the steam plough over 100 years ago and in 1885 founded the German Agricultural Society (DLG) in Berlin to promote the mechanisation of farming in Germany.